With the help of the guys at The Frontier Group working busily away on the backend of the website, we are getting closer to the full beta launch of iMeducate. We are continuing to grow our elite band of medical editors and clinical champions every week, and will introduce new members through the iMeducate blog. Mr J. W. Rodney Peyton OBE has been a Consultant Surgeon for over 30 years, with particular interest in laparoscopy and trauma. He graduated in Medical Education from the University of Wales in 1994, and in Law from the College of Law, London, in 1999. Internationally, he is well known as a leader in his field of Medical Education. He is currently the International Tutor for Medical Education at the Royal College of Surgeons of England, and an Educational Advisor for examiner training to the Intercollegiate Examinations Board in Surgery. He was appointed an OBE for his services to Medical Education in 2008. He has written extensively on clinical matters and in the field of medical education, and is an author of best selling textbooks in both areas. 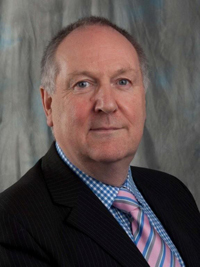 He has been at the forefront in the development of Consultant Appraisal and has been personally involved in the introduction of appraisal systems at Hospital Institutions throughout the United Kingdom.